I would only do that for games that run 60+ VI/s with audio sync on. For instance, Quest64 does not run 60 VI/s with audio sync on (Jabo's Audio), so I wouldn't recommend enabling it for that game. Honestly, I'd rather just take advantage of per game plugin settings. I was going to add it on a per-game basis for pre-tested games. I already did it for Donkey Kong 64, since PJ64's audio sync has slight popping that Jabo's cures. I'm aware of the problems it causes for specific titles. Ok, you have the right idea then. I knew Jabo's audio sync worked good for DK64. It also does a good job in Super Smash Bros and Last Legion. Generally if a game runs 60+ VI/s with Jabo's Audio Sync, then it's better to have it enabled. You can get a good idea of how much it affects the VI/s by enabling "Show CPU Usage". If the usage of r4300i isn't much higher with it enabled, that's a good sign. If the usage is significantly higher but still is able to run 60 VI/s, it's still usually better to use a different plugin if there's a better one. For instance, I can't run Mario Party 1 at stable 60 VI/s with Jabo's Audio Sync, yet theboy181 could iirc, yet Azimer's 0.56 WIP2 does a better job. Was there any reason why Jabo's couldn't emulate that effect? The only plugins I know that do it are Glide64 and the Ziggy's plugin. So I agree with the sentiments of others, that Glide64 should be the default plugin in future builds of PJ64. Seems like Jabo's audio doesn't work too well with Goldeneye, even with sync to audio enabled (still skips). Azimer's newest plugin has the same problem. Shunyuan's is the only one that has no skips, but has an annoying delay in the audio. But hey, this release is certainly an improvement over the previous one. No more timing issues, it seems. Was there any reason why Jabo's couldn't emulate that effect? Have you tried Jabo LLE? Most plugins are simply incomplete dude. The only plugins I know that do it are Glide64 and the Ziggy's plugin. I think you need to test more plugins . So I agree with the sentiments of others, that Glide64 should be the default plugin in future builds of PJ64. Idk about that. Why use an HLE plugin that's slower than an LLE plugin ? Iirc, Azimer 0.56 WIP2 did a decent job in goldeneye, although probably not perfect. I honestly rarely ever use Shunyuans (mostly just for comparison/ testing). I honestly wouldn't recommend his plugin for very many games (I haven't come across a single game where his is the best). The only thing I like about his, is that I believe he implemented time stretching (probably copied from another emu source). Only time I could see his plugin being useful is maybe when FAT is enabled. I'll do more testing on that game, and see which audio plugin is the best. 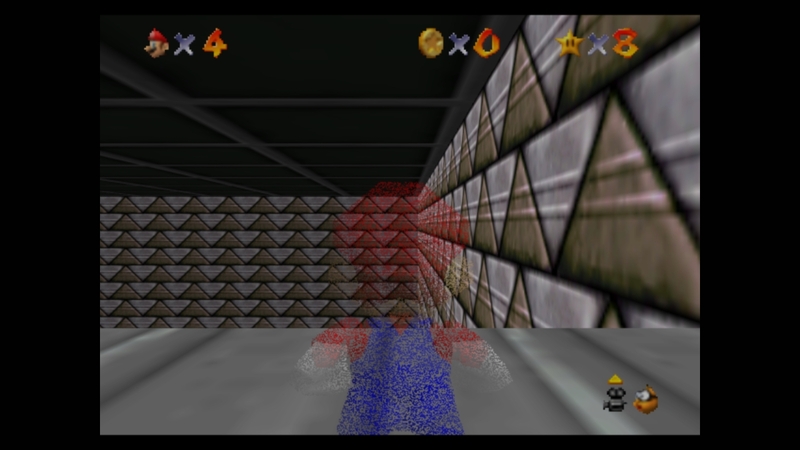 Does Jabo emulate alpha dithering in Super Mario 64, Mystical Ninja 64, Hybrid Heaven, Mario Kart 64, etc? Simply having transparency effects isn't accurate, but alpha dithering is, just saying. LLE RSP plugins also emulate it, yeah, as they are extremely accurate. Some games have missing effects in Jabo, such as motion blur in Paper Mario (battle transition), etc. If Jabo LLE can emulate alpha dither, motion blur, then great. Glide 64 actually works quite well for me, so...yeah. And doesn't the first boss (Draco) in Bomberman 64 require certain settings for his level? I honestly rarely ever use Shunyuans (mostly just for comparison/ testing). I honestly wouldn't recommend his plugin for very many games (I haven't come across a single game where his is the best). The only thing I like about his, is that I believe he implemented time stretching (probably copied from another emu source). Only time I could see his plugin being useful is maybe when FAT is enabled. On games such as Mystical Ninja, his plugin is the only one that gives consistent audio. Azimer's works extremely well on games that have FAT enabled by default, such as TWINE (no more garbled speech!) and Rush 2049 (the plugin was designed to work with that setting on, IIRC). Unfortunately, most games don't like this setting, otherwise I'd use Azimer's for everything (best quality I've seen so far). Azimer's 0.56 works pretty good for certain games that don't work good on other plugins. From my brief testing, it seems Azimer's 0.56 is the best plugin for Goldeneye, but haven't really tested shunyuan's for that game. I just tested Mystical Ninja. You're right about Shun's plugin. Still not perfect though. If audio plugins were more customizable, there would be far less audio issues. But I hear too many complaints from end users about not wanting to config that stuff rofl. It's a shame really.